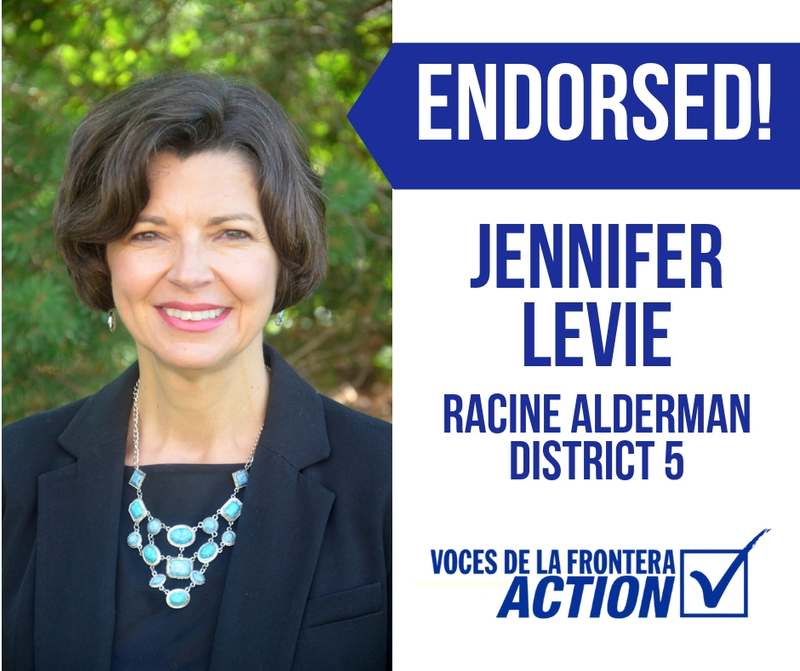 Voces de la Frontera Action is proud to endorse Jennifer Levie for Alderman for the City of Racine, District 5. Jen is a former board member and has been a committed supporter of Voces de la Frontera for several years. She is a strong advocate for public education in the City of Racine and is currently an English as a Second Language teacher for the Racine Unified School District.